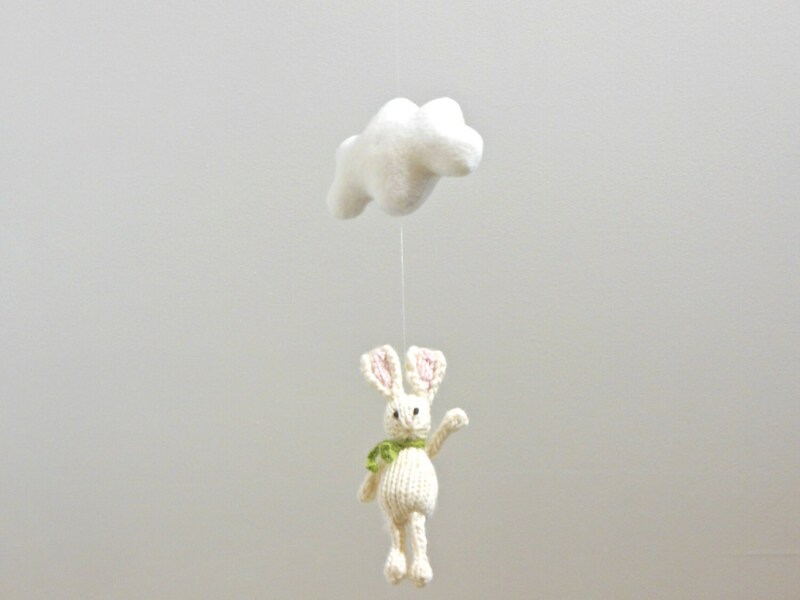 This simple but elegant white bunny and cloud mobile is perfect touch for any nursery or space in your home. 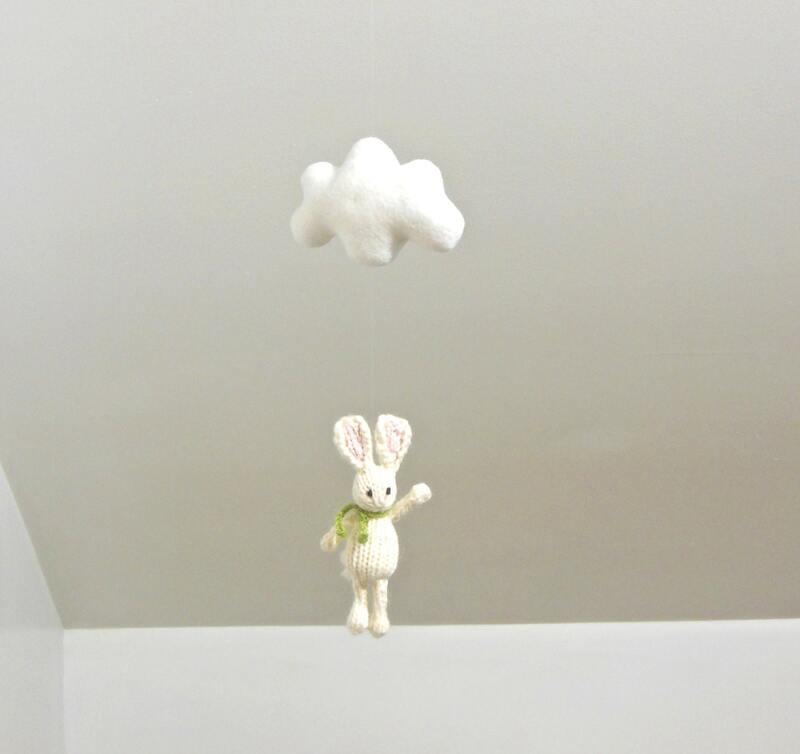 The bunny and cloud spin independently. 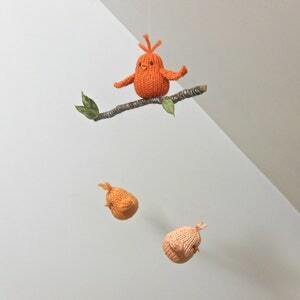 Its dimensions make it perfect for over the changing table. 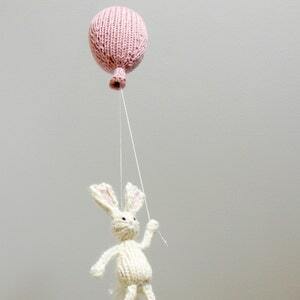 If you prefer a different color selection, please contact me beforehand for consultation. 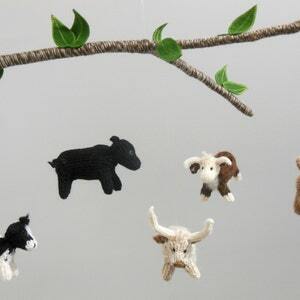 All pieces are hand-made and designed by me. 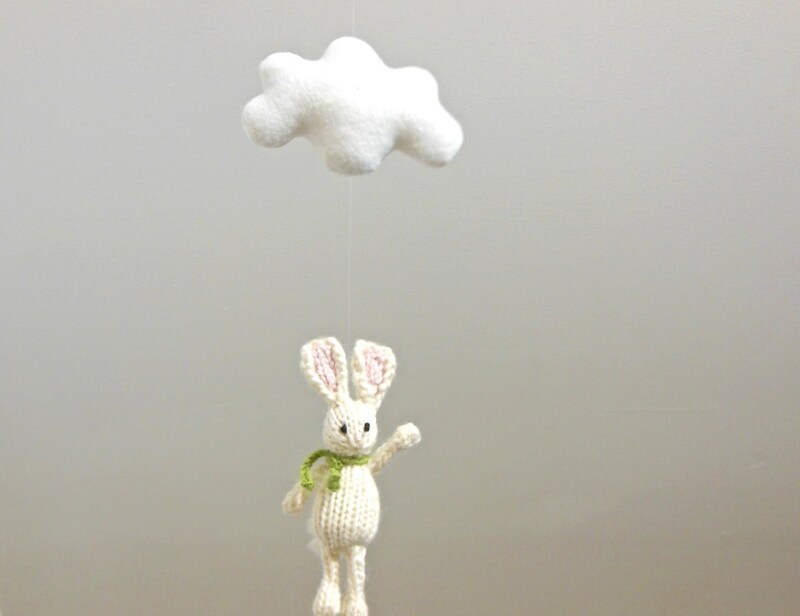 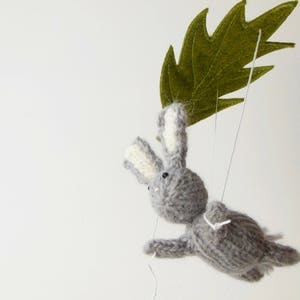 Only natural and eco-friendly fibers are used in the making of the cloud and bunny. 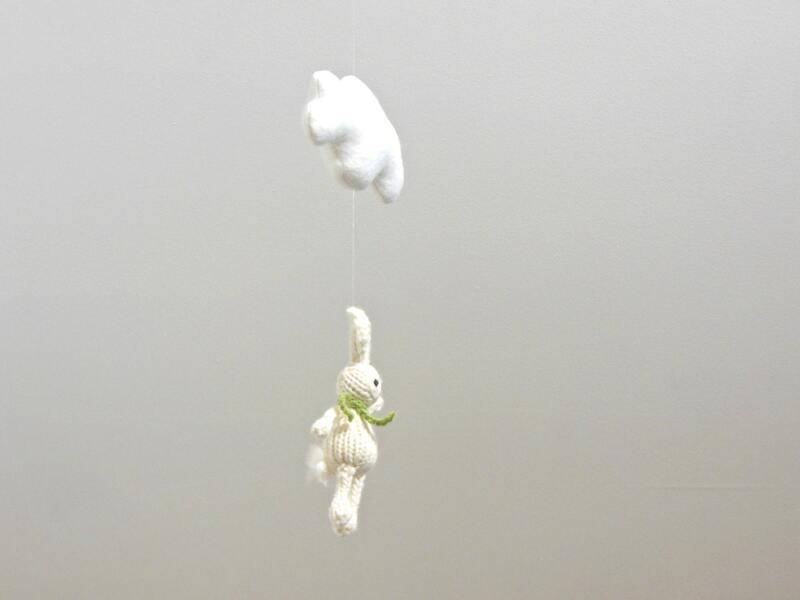 • Width = 4" approx. 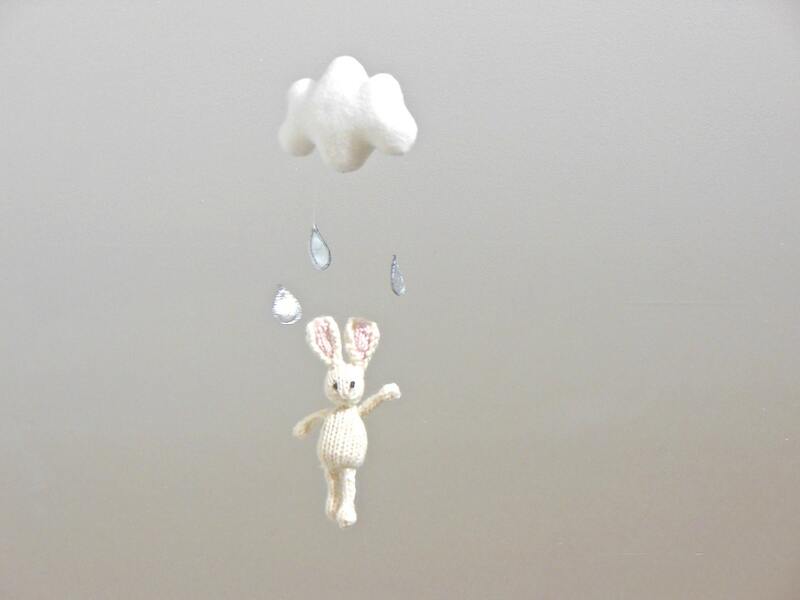 Mobile Drop Length = (from top of cloud to bottom of bunny = 16"